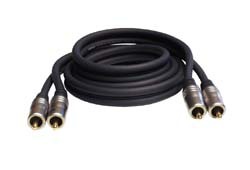 Profigold PGV3100 Oxypure 1.5m RCA-RCA (Phono-Phono) video interconnect. Enjoy the ultimate in vision with crisp video and vibrant colour. 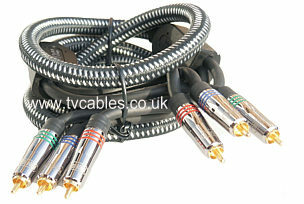 Features Die cast connector bodies.100% screened connectors24k Hard Gold Plated contacts ensures optimum signal transfer.99.9997% OCC single crystal copper for the ultimate picture. Advanced multiple screening*Cellular PE insulation ensures a clean natural sound. IAT interference absorbers for unmatched picture performance. Lifetime limited warranty against defects or workmanship.